When I go to the toilet I let out inhuman screams nobody should have to listen to, mostly out of pure pleasure. 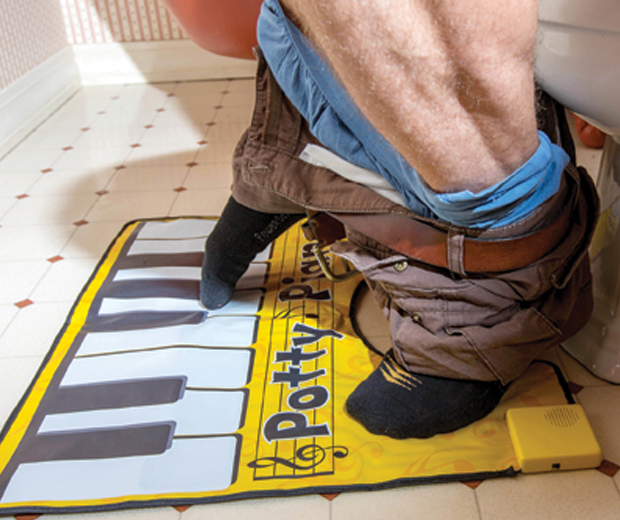 Not everyone has as much fun as I do on the toilet though, so to pass the time why not buy this Big Mouth Toys Potty Piano. 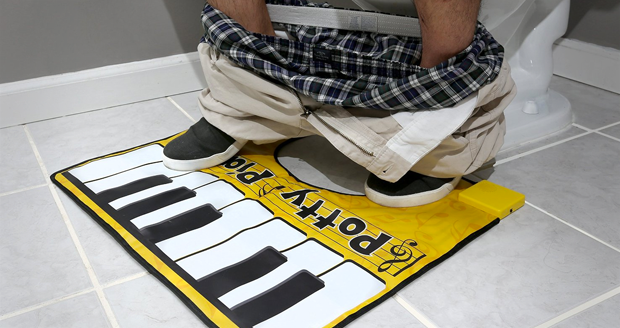 It includes a song book and is wipe clean, great for when you piss all over it whilst trying to play a sassy piano solo. 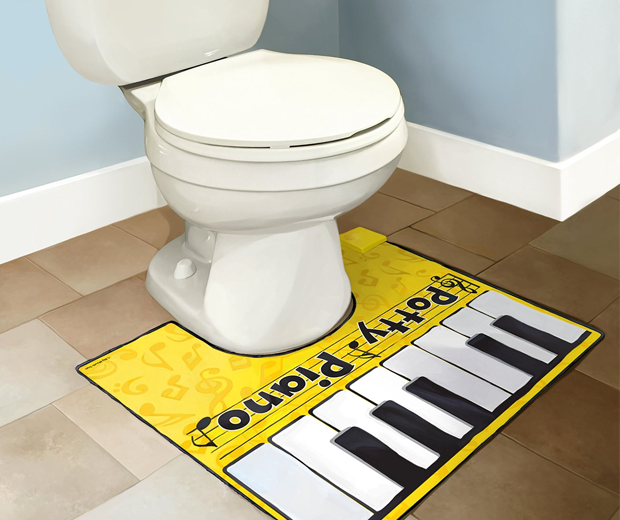 My choice would be to try an Adele song, changing the title to “Someone likes poo”. Then do a poo.